I conducted Four corners Mircrobenchmark on 4 Node Cluster to 6 and 8 Node Cluster . the Version of X-Ray is 3.3 and AOS 5.10.02 .
i think there is something strange about results of sequential write . here is the screenshot i took . considering this . result is what i expected . while Sequential Write . all of the results is under 5GBps . even 6 or 8 node cluster .i can say the same thing about this result . Does anyone has the results of Four corners ?? 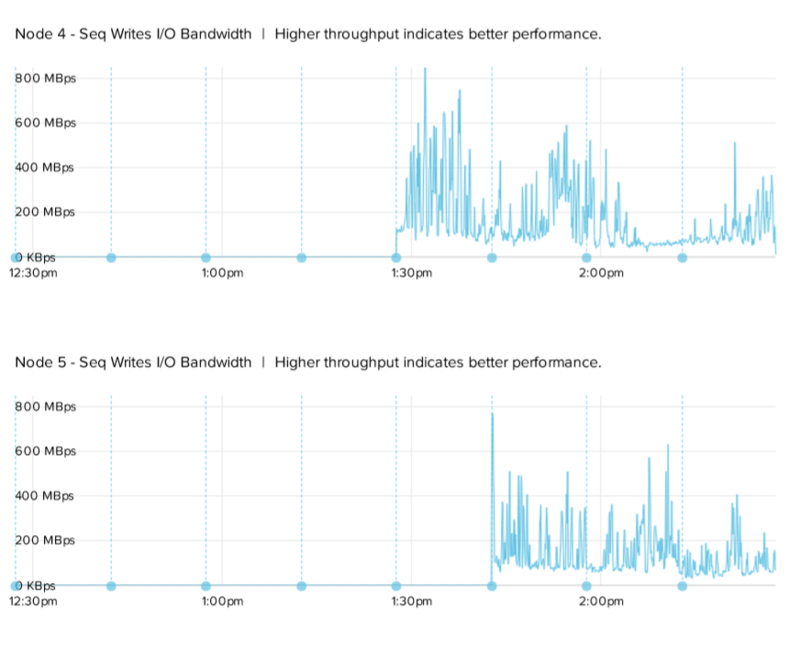 On all-flash configs, I see ~1.5GB/s per node and scales linearly for sequential reads. Your results also match this. For sequential writes, we can expect 700 MB/s to 1.2GB/s per node depending on whether workload is running on all nodes vs just one. (varies depending on RF factor). 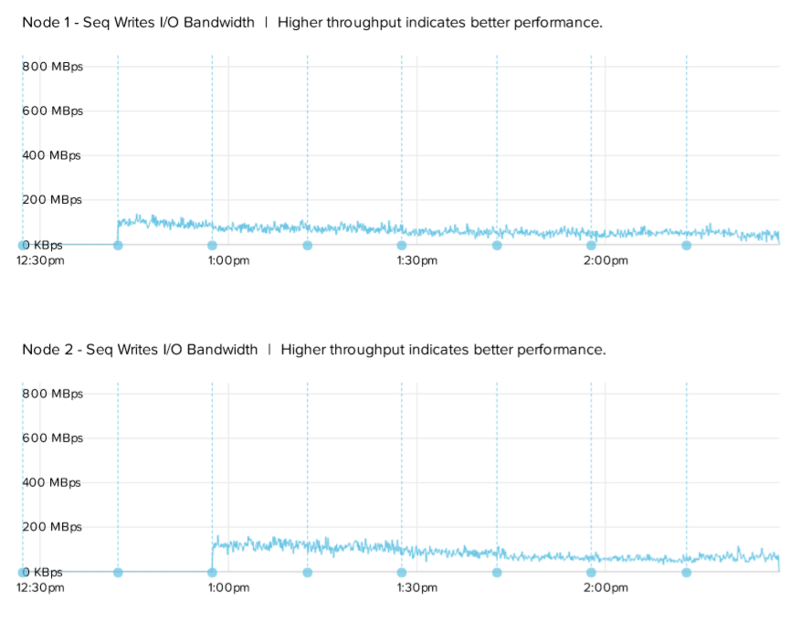 You can confirm these results by running throughput scalability scenarios. Hope this helps. i See . i will . it seems that sequential writes exuted on only 1-node dispite I did this test at least 4-node cluster . I think cluster needs to be looked at. Meanwhile throughout scalability sequential write scenario can be run to confirm? not yet . i will do this test later . Hmm this is definitely not right. I am looking into it now. Thanks for letting us know. I did throughout scalability sequential write which resulted in worse . how do you think ?? i think there is something wrong .